Would-be homebuyers are missing out on mortgages due to misplaced fears about their credit histories. That’s according to a survey by Online Mortgage Adviser, which claims up to 70% of potential applicants don’t approach banks and other service providers due to fears that their financial circumstances would mean they are automatically rejected. When it comes to mortgages, however, that isn’t always the case. In fact, the number of deals for people with bad credit is on the rise. Here, we bust 10 common myths about getting a mortgage with a less-than-perfect credit history. If you’d like advice on getting a mortgage with bad credit, call Which? Mortgage Advisers on 0800 197 8461 or fill out the form at the bottom of the article for a free call back. First-time buyers with good credit scores and healthy deposits can find it difficult to get on to the property ladder, so you might think having a less-than-perfect credit history will rule you out completely. That’s not always the case, though. Some lenders are willing to grant mortgages to buyers with credit problems – it all depends on the individual bank’s criteria. Having said that, it’s always a good idea to make yourself as attractive as possible to a prospective lender, so a larger deposit and proof of paying bills on time will work in your favour. It’s true that some lenders will charge higher rates to applicants with poor credit scores, as they consider them to be riskier prospects. Again though, there are exceptions. When we recently looked into the best rates for bad credit mortgages, we found that Metro Bank offers fixed-rate deals costing as little as 1.99% (five-year term), though buyers would need a 25% deposit to apply. It’s definitely possible to remortgage if you have a poor credit score. If your score has fallen since you took out the mortgage, you may not be able to access such a competitive rate when remortgaging – but the deal you get may still be preferable to being reverted on to your lender’s standard variable rate (SVR). Remember that criteria varies from bank-to-bank, and some will take the reasons for your credit history problems into account when making you an offer. Not true. We asked the major mortgage lenders how they approach applicants with bad credit, and seven said they would consider people who have filed for bankruptcy. All said a specific amount of time would have to pass before they’d consider granting a mortgage, with that time ranging from three months to six years. Find out more: bad credit mortgages: what are my options if I have a poor credit history? This is also wrong – it all depends on the bank. When we asked lenders about their policies, Coventry Building Society said they’d accept applicants six months after a CCJ, but that those with IVAs would have to wait six years. Kensington Mortgages said applicants with CCJs would have to wait two years, while anyone on a debt management plan could be accepted after 12 months. Precise Mortgages, meanwhile, would theoretically accept someone with a CCJ after three months, but those with an IVA would be rejected regardless of how long had passed. Get a credit-builder credit card, and pay it off in full every month. Make sure you pay your bills on time (especially mortgage payments, if applicable). While some major high street lenders wouldn’t share their specific bad credit mortgage policies with Which?, we did find that Barclays, Coventry Building Society, Metro Bank, Royal Bank of Scotland, Cambridge Building Society, Virgin Money and Yorkshire Building Society may consider applications from people with poor credit records. Getting a mortgage with a larger lender can in theory mean a better interest rate, but in some cases specialist lenders that cater for buyers with bad credit might be the best option. Not necessarily. It’s true that some lenders won’t offer higher LTV deals to those with poor credit – meaning that someone looking for a 90% LTV mortgage might be ruled out. But that doesn’t mean you have to come up with a deposit of tens of thousands of pounds. Instead, you could get a joint mortgage with a partner or family member who has a better credit score, or consider adding a family or friend as a guarantor. Be aware that both options come with their own risks and complications, and all parties should take independent financial advice before linking themselves financially. There used to be a limited selection of products for those with bad credit, but that’s no longer the case. In fact, the number of bad credit mortgages are on the rise. According to Moneyfacts, there are currently 890 bad credit mortgage products on the market, up from 843 in September. More choice means you’ll have a better chance of finding a competitive deal that suits your circumstances. Quite the opposite is true. A mortgage broker can be particularly useful if you have complicated circumstances, such as marks on your credit history. Seeking the advice of a whole-of-market broker – even if you’re only at the start of the process of looking for a property – means you can get advice about the right deals to suit your specific situation. Technically, there’s no such thing as a bad credit mortgage as such – this just refers to mortgage products that are suitable for those with poor credit ratings. You can have a poor credit rating due to things like missing scheduled payments, filing for bankruptcy or having a thin credit file due to never having taken out credit. 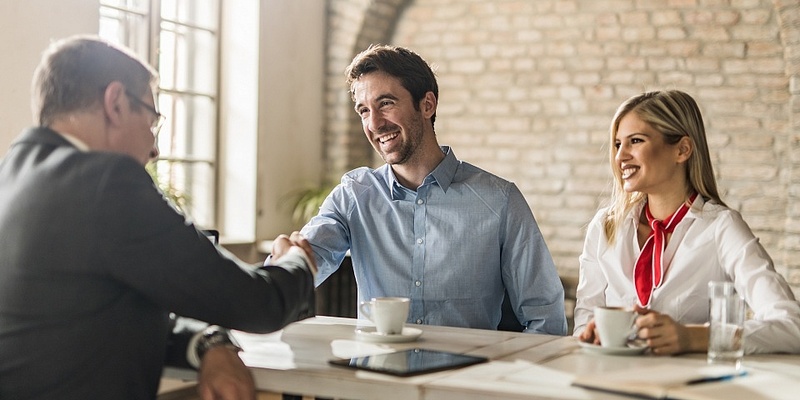 From a mortgage lender’s perspective, these events mean you are a riskier prospect for a loan, so it can be more difficult to access the same mortgages as those with good credit scores. Depending on your situation, some lenders may still offer you a mortgage with extra caveats, or you may need to go to a specialist lender that specifically offers mortgages for people with poor credit histories. If you can’t get a mortgage right now, it’s best to spend some time improving your credit score before applying. Whether you have a complicated or squeaky clean credit history, it’s always worth getting expert advice before applying for a mortgage. The friendly team at Which? Mortgage Advisers look at the full range of mortgages on the market before recommending the right deal to suit your circumstances. To chat to an adviser, call 0800 197 8461 or fill in the form below for a free call back.